From Japan. Lives in Hamilton Heights, Manhattan. Aiko was born in Kagawa, a Japanese prefecture that is near Osaka and known for its udon noodles. The only girl in her large family, she learned to cook from her mother and grandmother. Although Aiko enjoys cooking food from many cuisines, she always follows certain Japanese principles like mottainai (avoiding waste), and ichiju sansai (literally “one soup three dishes” or a balanced approach to menu planning). 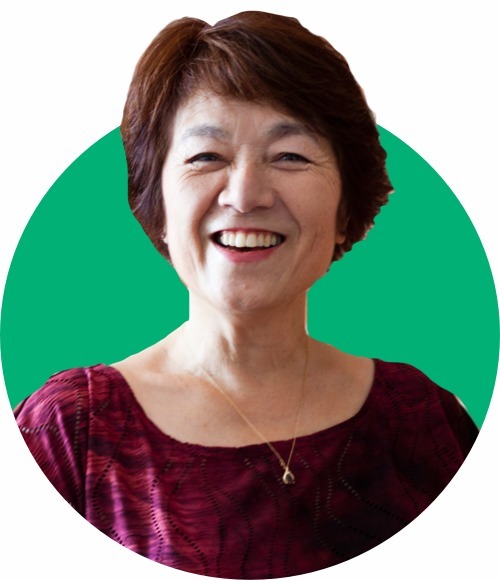 For a while after she moved to the U.S. in 1979, AIko was very busy with work, but now she finally has time for her main passion: cooking and sharing her food. She also loves to paint canvases and china, and she is currently taking keyboard and Taiko (Japanese drum) lessons.